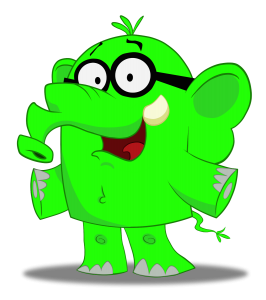 I’m Ellis Elephant, It’s my job to keep you all up to date on our digital toys and what’s going on here in Wakalaps, it’s my first ever real job, so here it goes. Right now we’re waiting on some very nice people who live in an apple, to let us know when our first toy is available in their fruit shop, oh, I mean Appstore. I’m pretty sure I got that right, funny though, we didn’t make any fruit! Ohh, I see our digital toy is called an App, right, OK that makes a lot more sense now. They still live in an apple though, right? Anyway, our first App,I’m getting the hang of this now, is called “Waka Walks” and it’s got me and a whole load of my friends in it. Here is a quick look behind the scenes. We spent ages walking around, you can see some of my friends were a little grumpy by the time we were finished. As soon as we hear from the people in the apple I’ll let you all know.